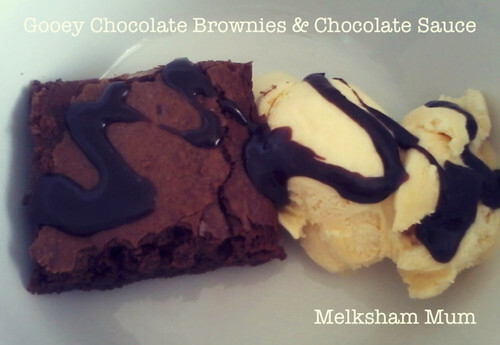 ...Gooey Chocolate Brownies & Chocolate Sauce. 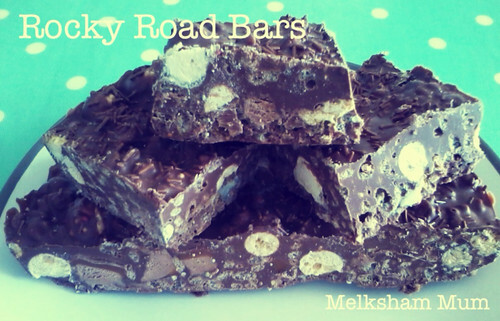 And...(our version of) Rocky Road Bars. 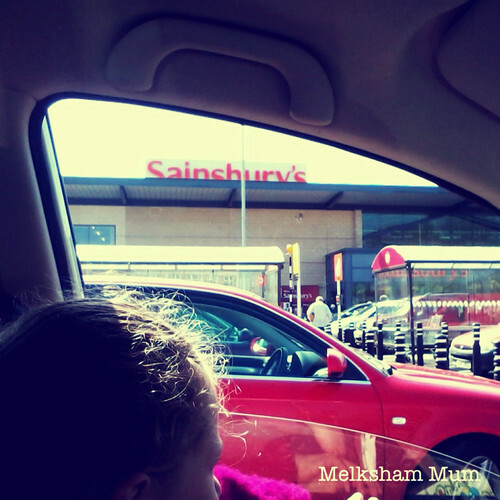 Following swimming lessons we rolled up at Sainsbury's on a busy Saturday morning. Although the car park was packed the store was not too busy. This made the task of snapping pics easier and we could take our time debating which chocolate to purchase. 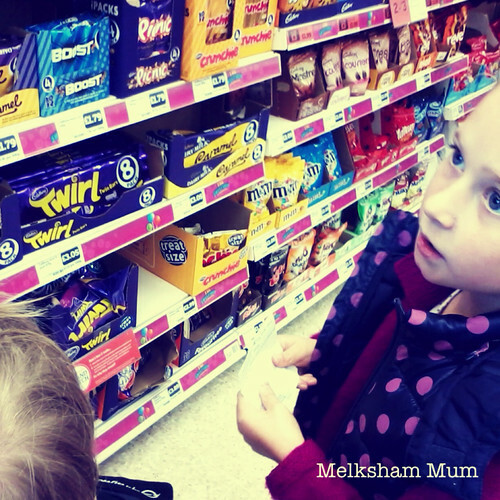 We tried to find popping candy for some chocolate bark but despite a very helpful member of staff none could be found. Once the shopping mission was complete we were able to hit the kitchen for some baking fun. Melt 200g dark chocolate and 175g unsalted butter. Stir in 325g caster sugar then add 130g plain flour and mix well. Finally stir in 3 eggs. Pour the mix into a greased lined baking tin approx. 30 x 20 x 4 cm and bake at 170c for 30-35 mins. Once cool, slice and serve with ice cream and chocolate sauce. To make the sauce melt 15g butter with a splash of milk. Mix in 50g icing sugar and half a tbsp of cocoa powder. The children got creative with the next one - our version of Rocky Road Bars - and they selected the ingredients that they wanted to throw in. 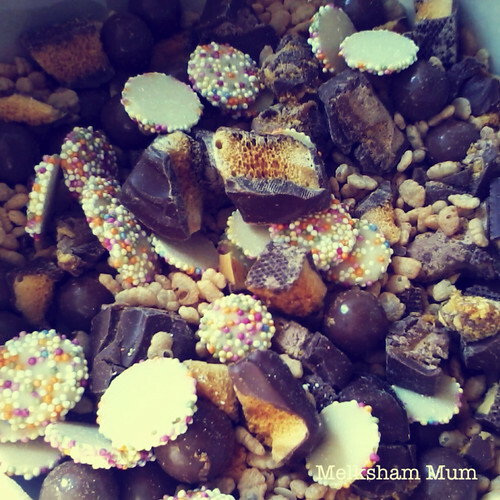 To make the above delicious looking concoction simply chop up two Mars Bars and two Crunchies and mix in with two bags of Maltesers, 50g Rice Pops and a handful of Rainbow Buttons. 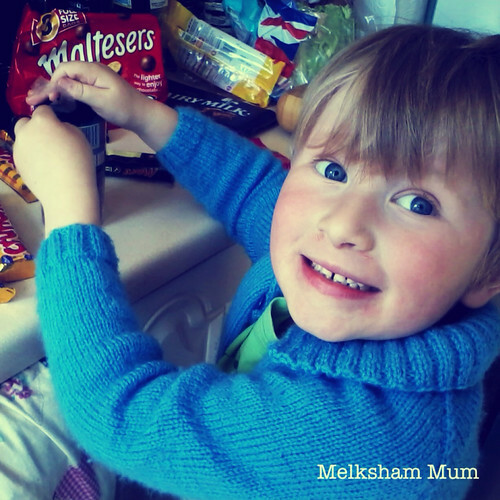 Melt 600g Dairy Milk chocolate and pour into the mix. Stir it altogether and press into a lined baking tin approx 30 x 20 x 4 cm. Sprinkle chocolate strands over the top and when cool cover and refrigerate overnight. Then smile in anticipation of the calorie laden treat awaiting you in the morning! 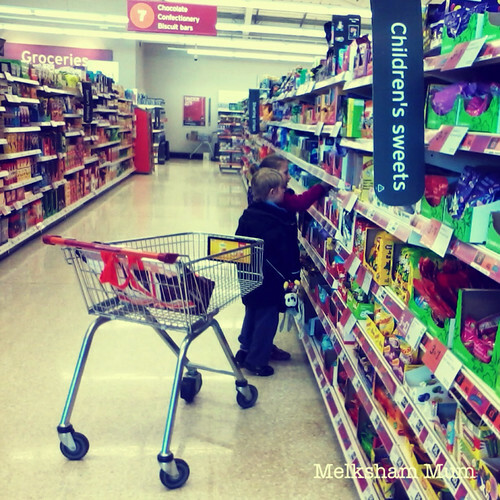 For further images of our mission, where we snuck around Sainsbury's like spies snapping pictures on the mobile, see my Google+ Creative Baking Shop #cbias photo album here. Disclaimer: I am a member of the Collective Bias™ Social Fabric® Community. This content has been compensated as part of a social shopper insights study for Collective Bias® #CBias #SocialFabric. For some reason they didn't want raisins or apricots in the mix! !